This certainly is a career highlight (thus far). 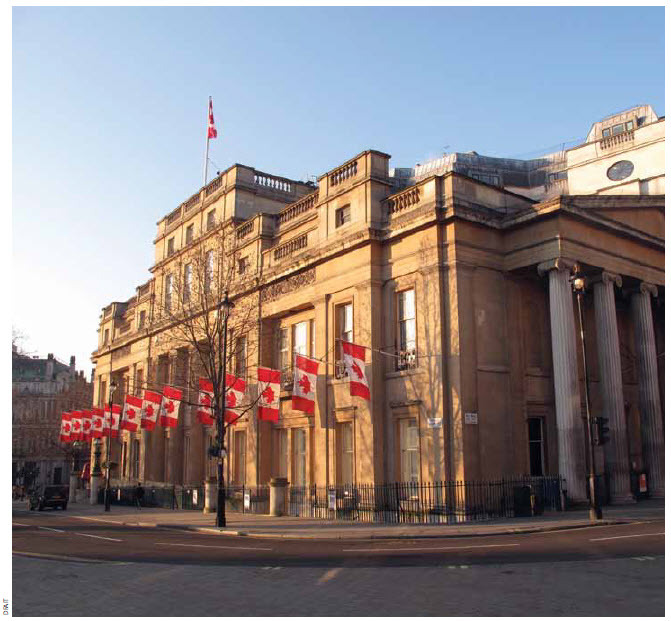 I have been awarded a commission by Canada Foreign Affairs, Trade and Development for the Canada House London Chancery project in London, United Kingdom. For the renovations, each of Canada's provinces and territories will be represented and showcased within High Commission meeting rooms. Every meeting room will be named for a specific province or territory. Each province/territorial custom hand-tufted area carpet will be designed by a local artist depicting the “Nature and Climate” of that region. Two of my designs have been commissioned to represent the "Alberta Room" and the "Laurier Room" at Canada House. I am one very proud Canadian.